A trio of beasties from a trio of cartoonists. 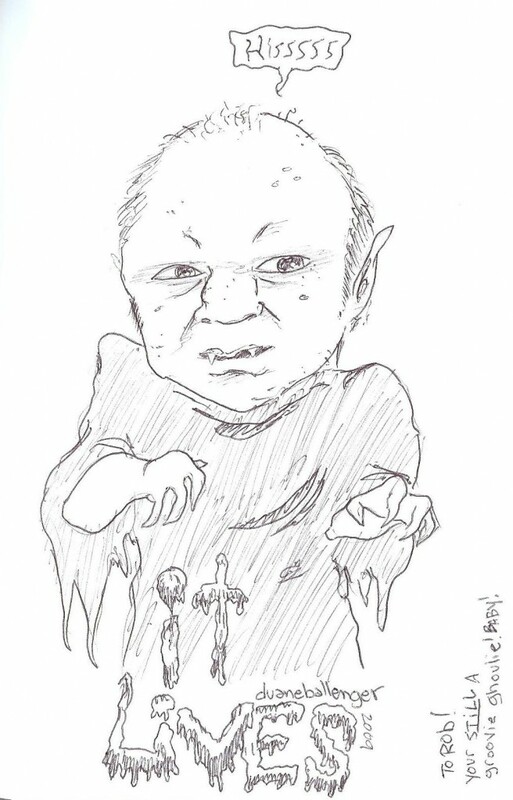 I suspect Duane Ballenger’s addition to my sketchbook is inspired by the monstrous infant from the 1974 horror film It’s Alive, but I can’t be sure because I’ve never seen the movie. I steer clear of horror whenever possible for the simple reason that even a quick glimpse of a scary movie will result in bouts of ruinous nightmares. An indicator of how skittish I am: I watched twenty minutes of the 2005 House of Wax remake, and I couldn’t sleep for two nights. And that movie starred Paris Hilton. Nevertheless, even after a lifetime spent hiding under my bed, I feel relatively certain that Justin Gammon’s entry is an update of the title monster from 1954’s Creature from the Black Lagoon. I haven’t seen that film either, but somehow the monster’s appearance reached my brain through the pop-culture ether. 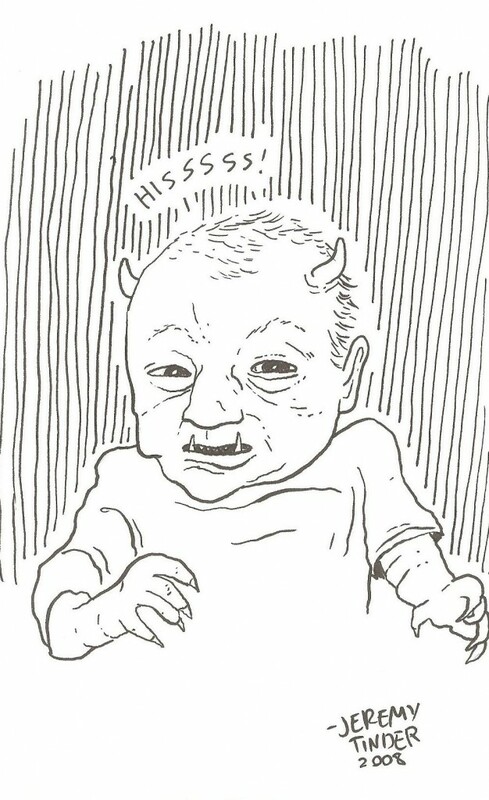 Rob, I thought that your baby picture had inspired the movie “It Lives” not the other way ’round! HAW! Kiddin’ lots of love to ya.